We had a great 4 days at Lea Valley Park with Countryside Live. The schools that came were very enthusiastic. 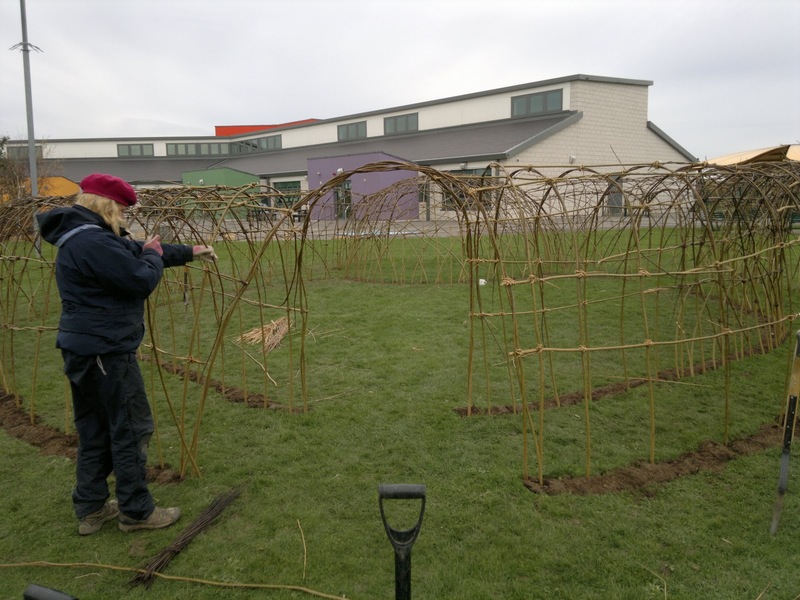 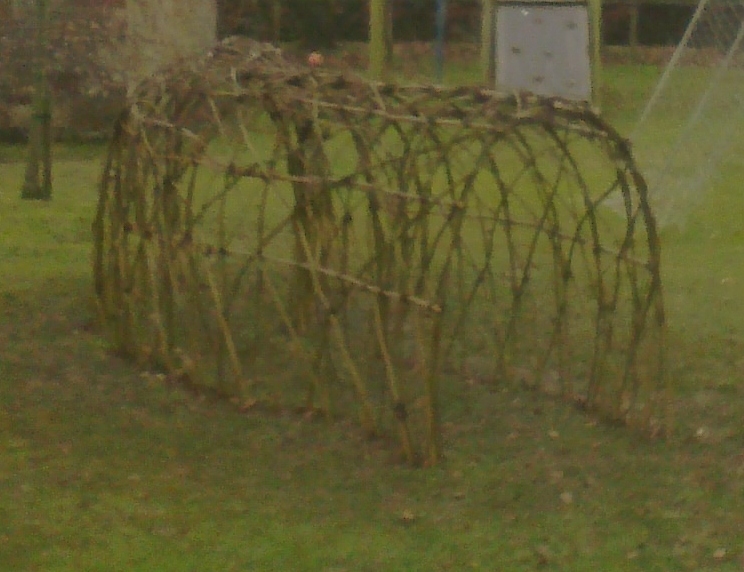 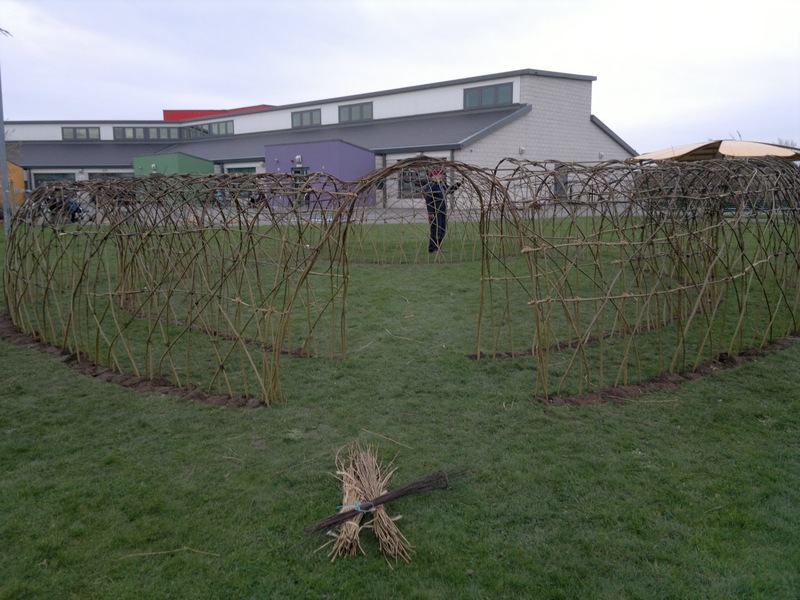 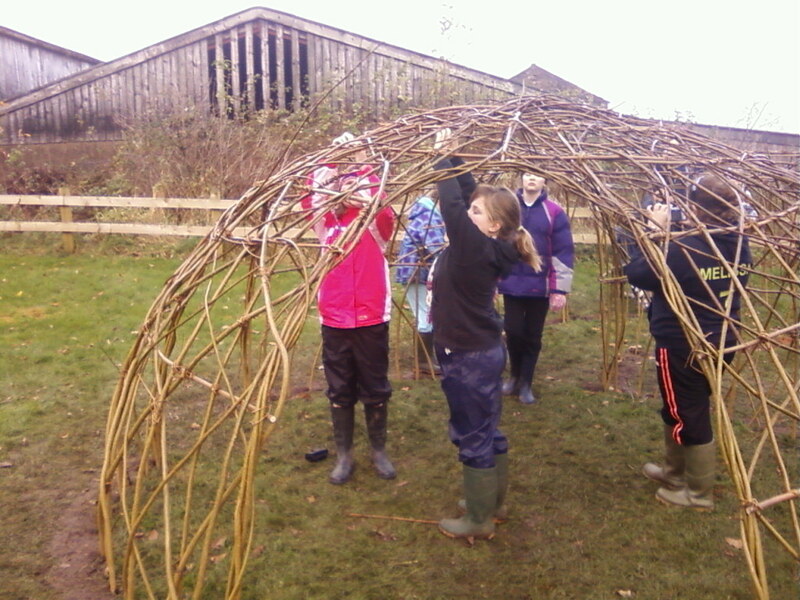 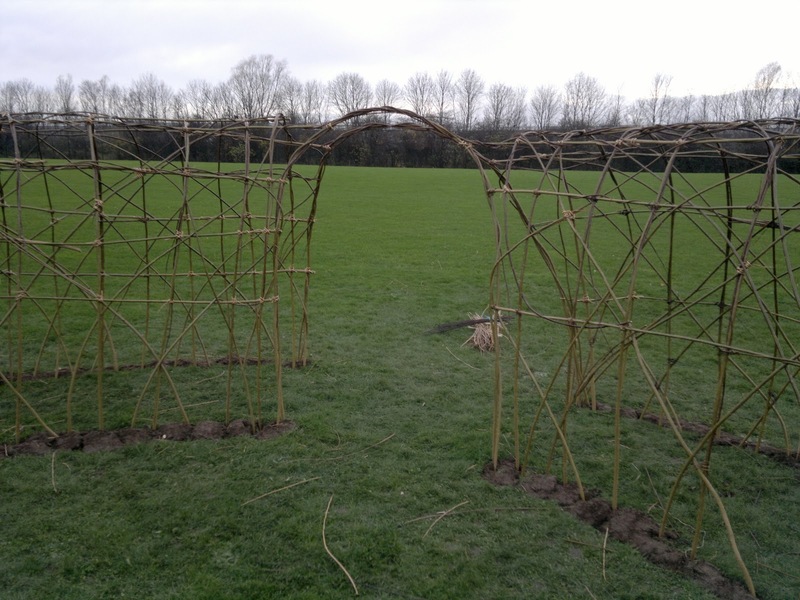 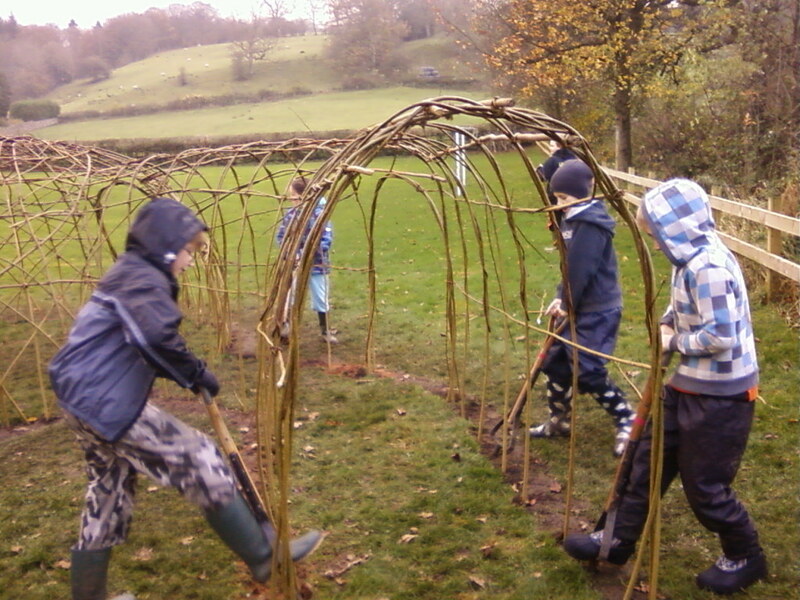 we worked with quite a number of the school groups and hope to work with some of the schools this winter building living willow structures. 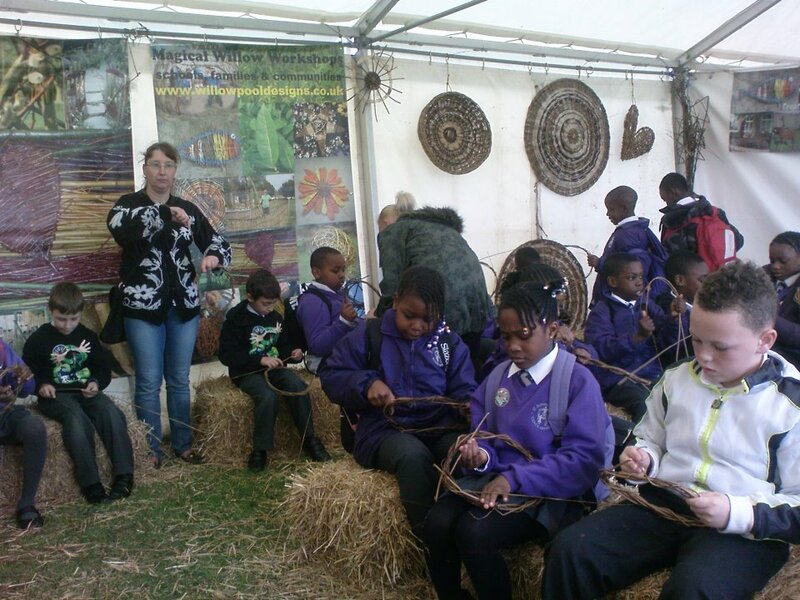 The Family Days at the weekend were really well attended with a great diversity of people from different cultures getting involved in willow weaving with us. 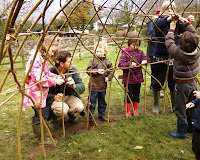 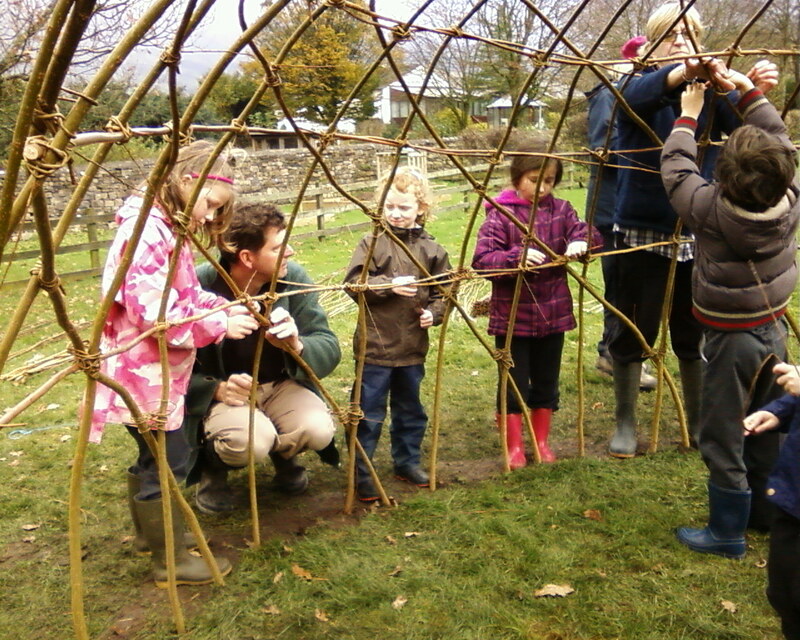 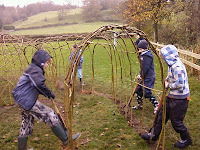 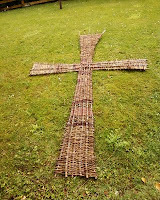 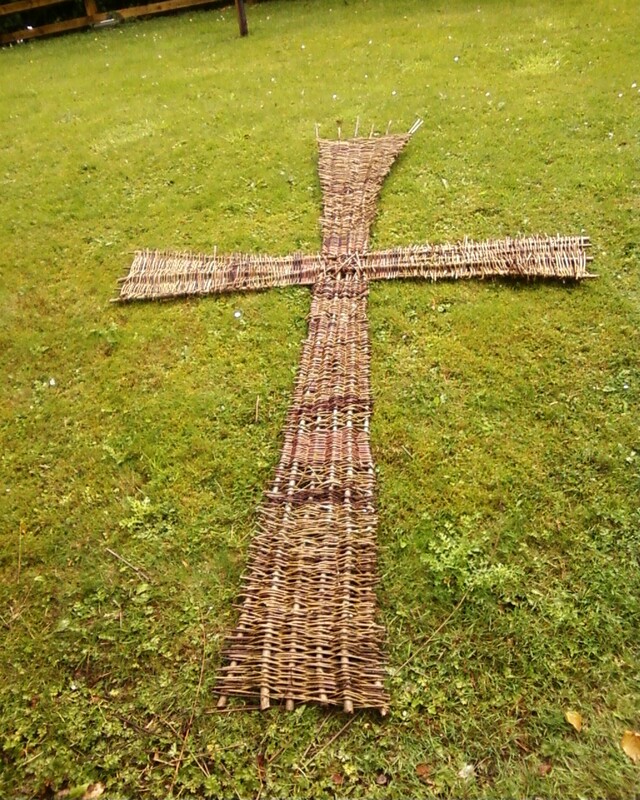 We will be running kids willow weaving again this weekend at Sizergh Castle, Kendal at a woodland event. 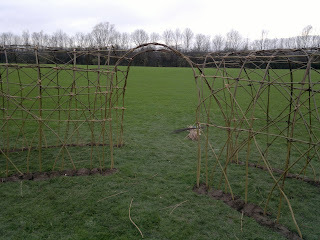 its very close to home so we don't need to camp this weekend! 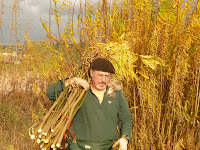 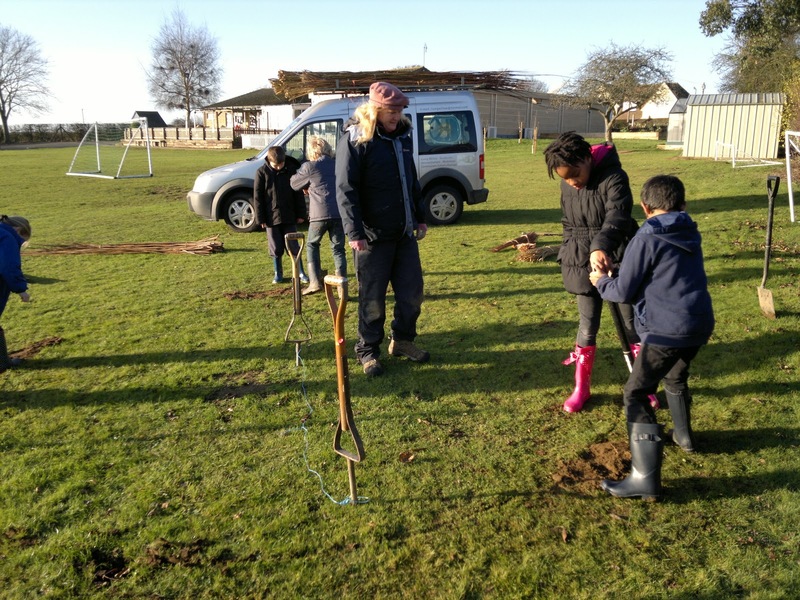 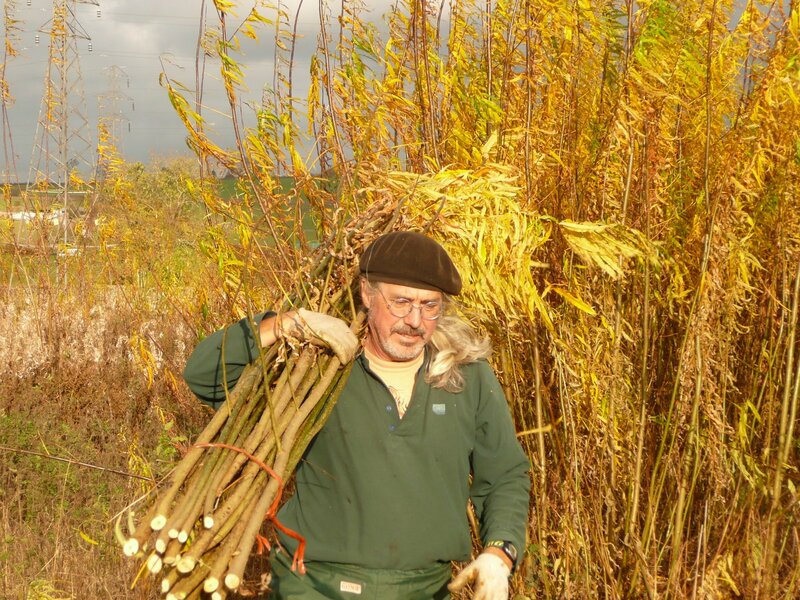 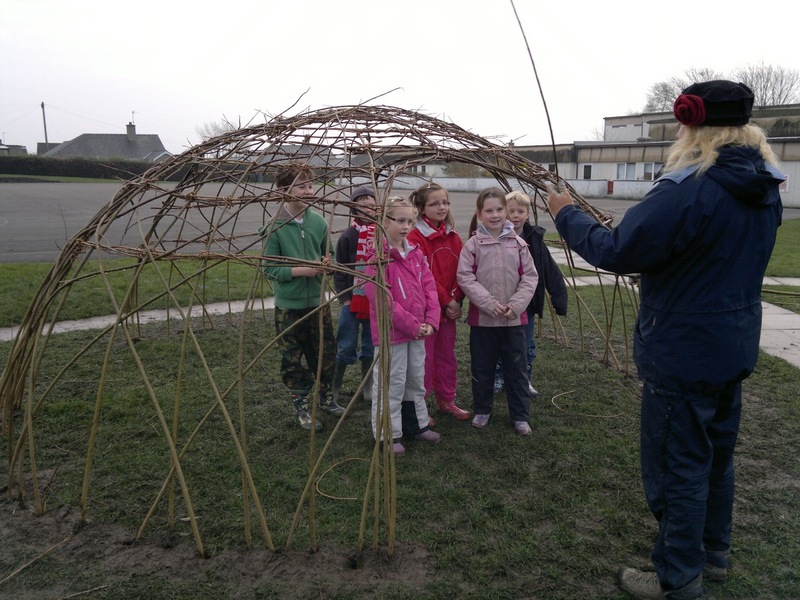 the living willow season is now over until next autumn but what a great time was had by all the children who helped to plant willow dens throughout the country. we are already taking bookings for next season! 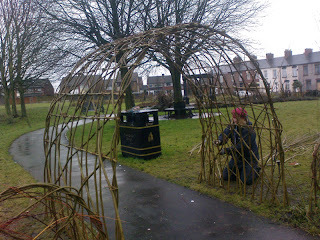 wishing tree, originally uploaded by willowpool. 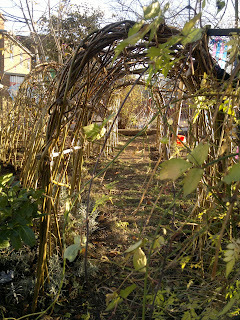 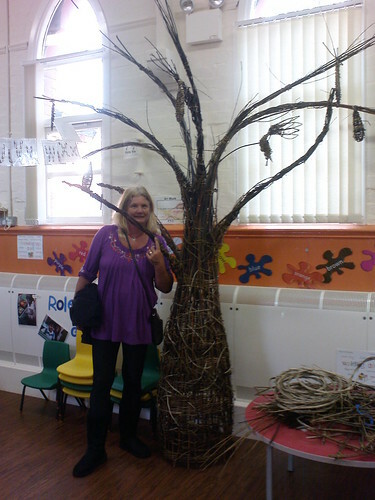 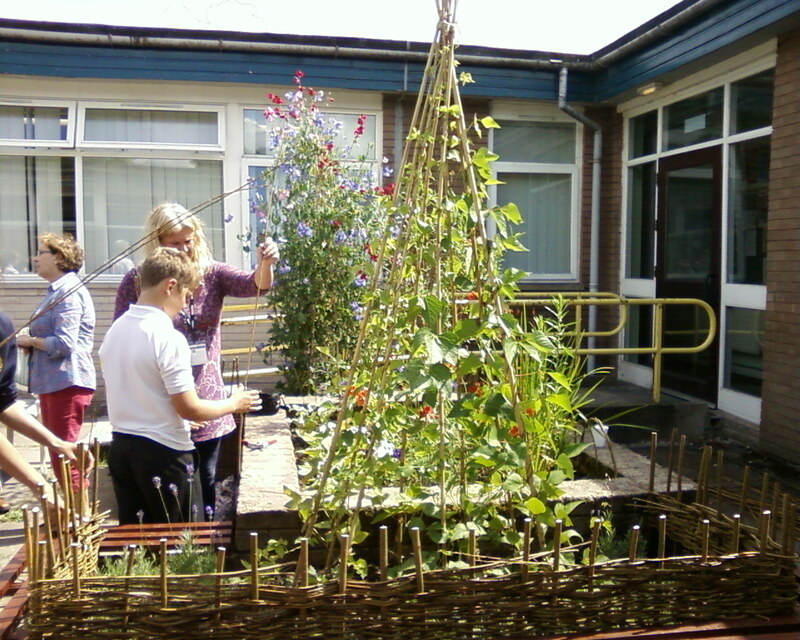 these woven willow trees are quite popular with schools at the moment. 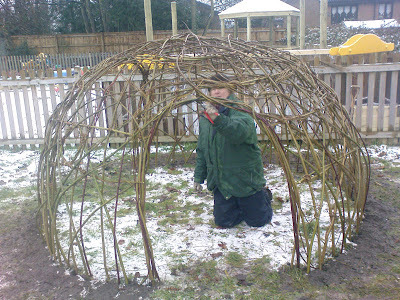 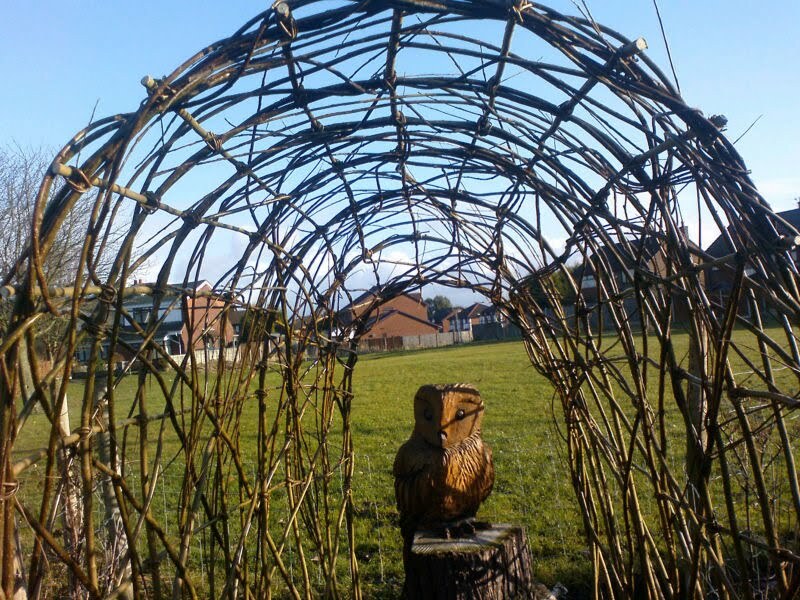 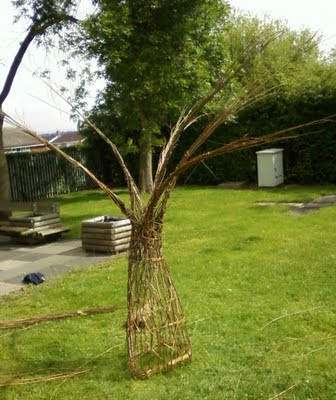 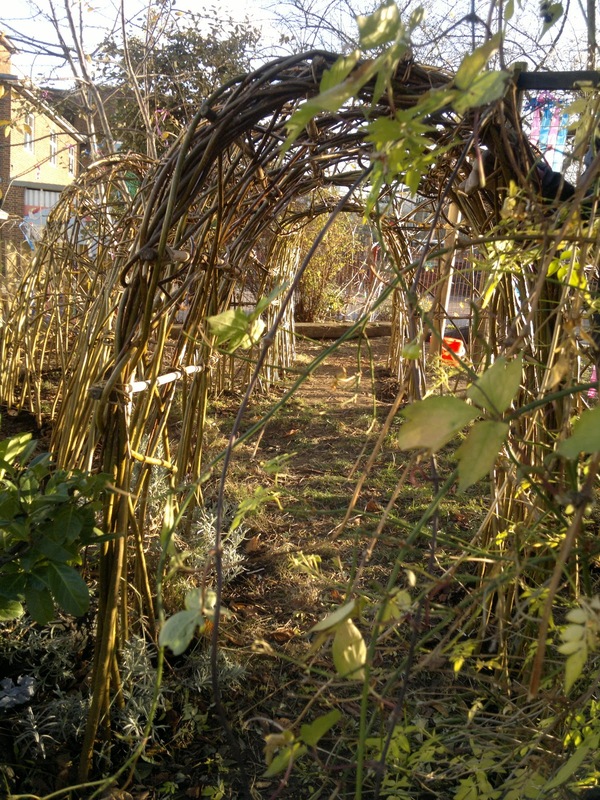 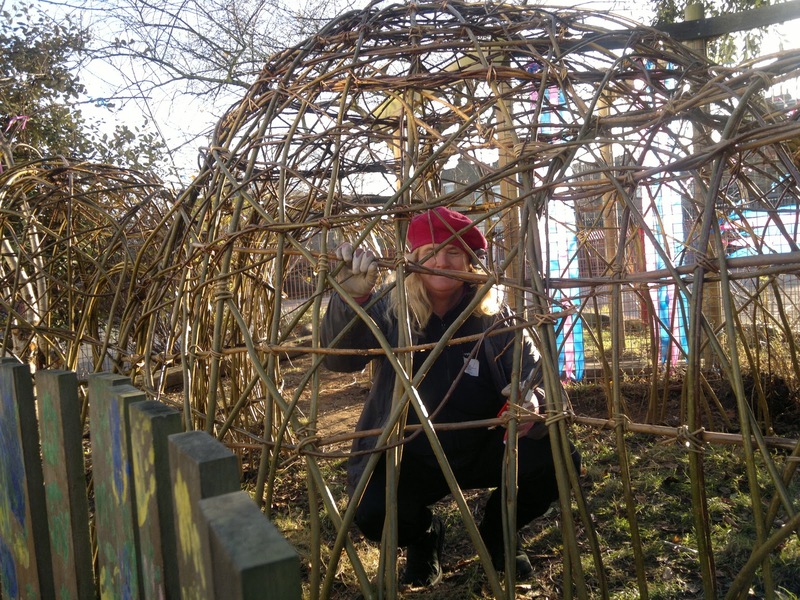 we are taking bookings for school arts days held in the summer term when schools can create a variety of willow sculptures for display indoors or in environmental areas outside. 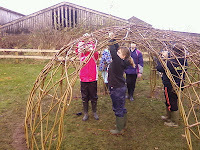 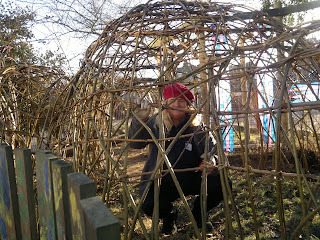 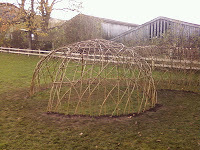 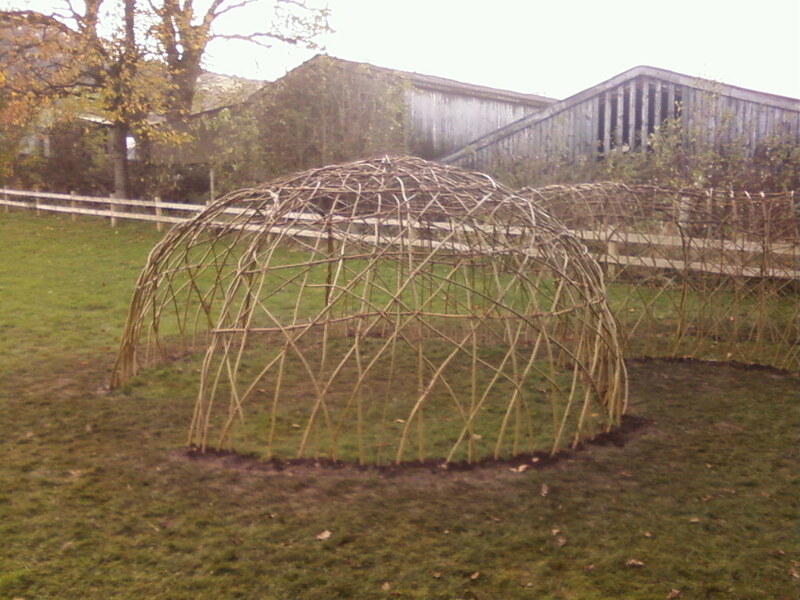 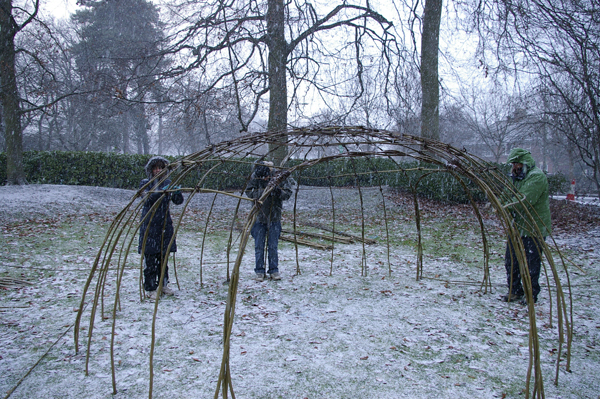 LIVING WILLOW DOME WEEKEND.pdf3, originally uploaded by willowpool. 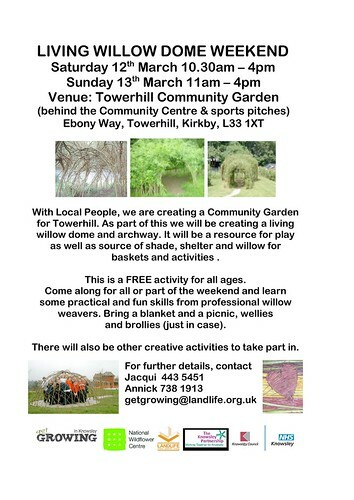 here is the poster for the willow weekend that we ran in Liverpool at the weekend. 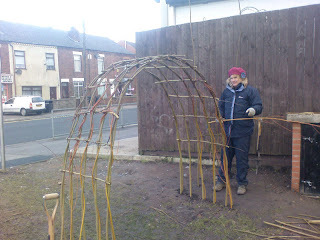 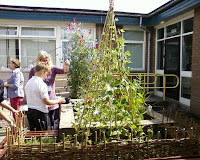 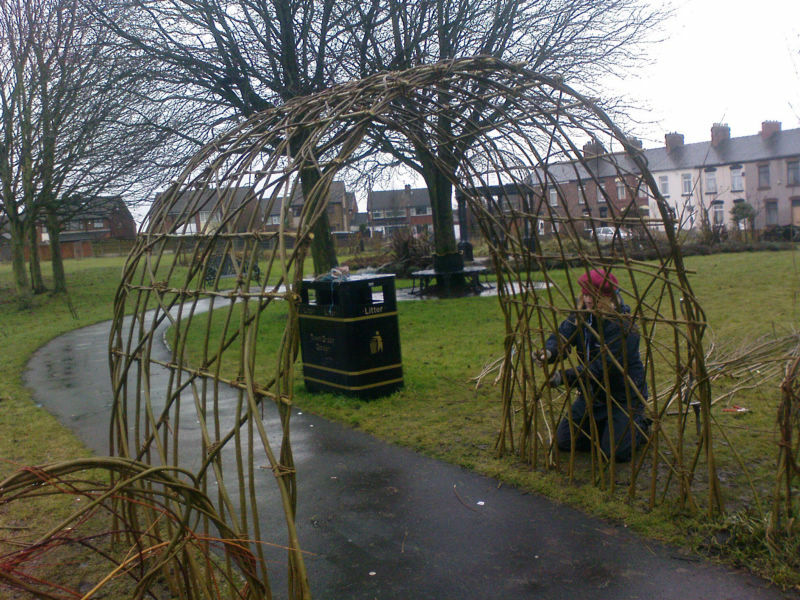 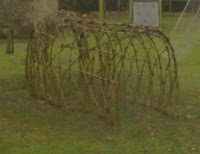 we worked with some members of the local community to make the structures. 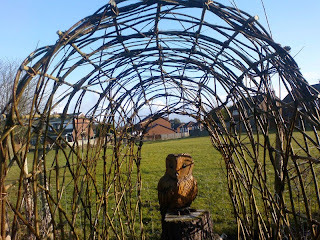 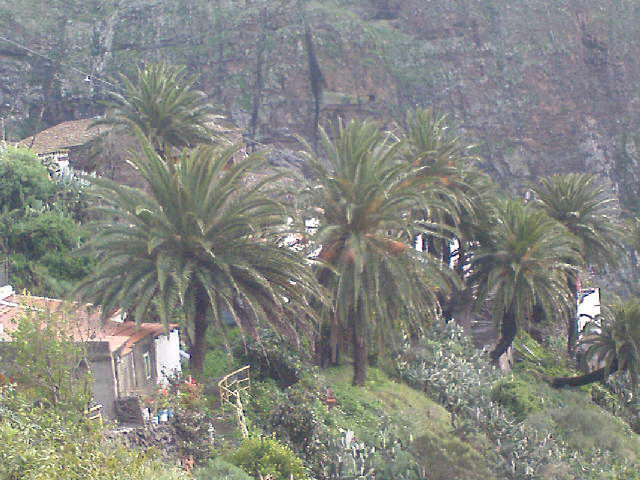 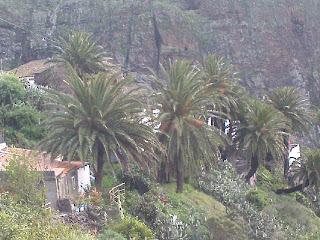 the weather was kind and was warm and sunny on Sunday. 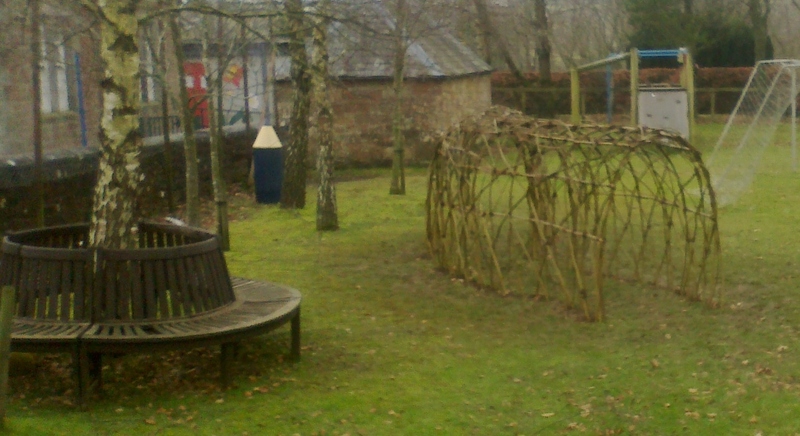 old picture of steve at grizedale, originally uploaded by willowpool. 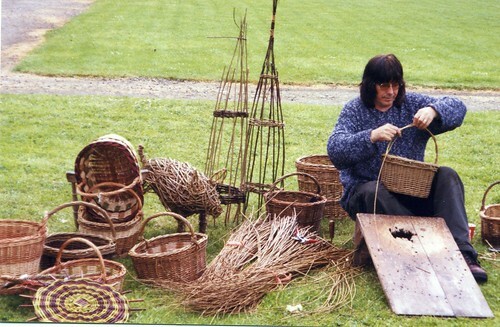 here's an old picture of Steve demonstrating willow weaving at Grizedale Forest.